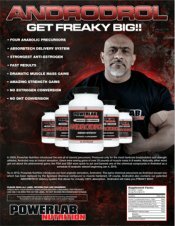 ALRI Jungle Warfare - Xtreme Nutraceuticals! On sale now! 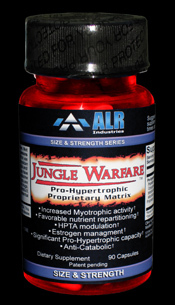 Jungle Warfare: Pro-hypertrophic from ALR Industries featuring an Herbal Proprietary Myotrophic Complex. 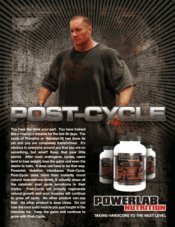 So, obviously by now everyone knows that anabolic/androgenic steroids (AAS), prohormones (PH) and prosteroids (PS) work rather well for aiding lean tissue growth by increasing the anabolic response in muscle tissue thus shuttling nutrients away from fat and feeding them to muscle…and most know that they can have serious side effects like jail, gyno, HPTA shut-down, liver enzyme and lipid issues. 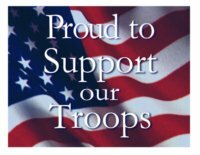 Oh, and they are banned by about every sporting organization on the planet. Many are willing to take these risks, but it may not be necessary or a best choice for the goals desired. It is possible to do this without hormones and deliver a significant myotrophic message muscles will pay attention to…without the negative side affects. AR agonists have become the hopeful new science for treating many human wasting conditions by the pharmaceutical industry. The results are increased soft tissue (like muscle) and bone regeneration with increased rate of protein synthesis and a pro-hypertrophic effect as a whole upon lean mass. Naturally the repartitioning affect of starving fat to feed muscle is a pretty cool idea for everyone...and of interest to muscle performance individuals everywhere. Can It Be Done Without Drugs? No, we are not going to tell a tale of some isolated tribe we found on an uncharted South Pacific Island that has become Doubled muscled from some plant they chew or some other BS (what the heck is “double muscled” anyway?). Just old science made to work. There are several herbal goodies we have been working with for some years now and two of them have shown some remarkable potential value. We knew that several grams ingested daily (good roughage too) resulted in increased lean mass and decreased fat mass as they have been used as a supplement for many years now with marginal success. But the cost to affect ratio just was not possible for a specific active matrix that made it work. In short, poor standardization and production cost left the results a crap shoot. 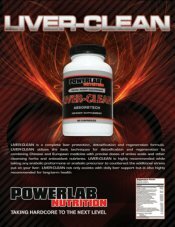 Hmmm, that’s what some said about Venom Hyperdrive 3.0™ and several other ALR Industries products that redefined the value of correct supplement designs. Oh yeah, and how about… “…but all the supplement companies are doing herbals now and they all claim their extraction is best”. Well, maybe they know something most don’t, yet (um, that is our job you know) or maybe ALR Industries will do it again. We do tend to piss off a few people by occasionally proving that the world’s performance progress potential is not solely decided by reference sites from PubMed and/or wanna-be skinny/fat armchair steroid gurus quoting them. Debate all day, but it either works or it doesn’t. At ALR Industries we are always looking for ways to build a better mouse trap. In this case, we have created a unique proprietary extraction process that results in a much better yield of actual active compounds unique to AR agonists and other pro-hypertrophic substrates present in these herbs. As a result we have seen excellent lean tissue results at a reasonable price with no bans from sporting organizations…yet. Anyone can get the herbs and eat them (Or knock them of for Knock-Offs.com and swear it is the real deal), but only ALR Industries has the unique extraction process to make them work in the real world the way we all want them too. What’s So Great About Jungle Warfare™? Increased myotrophic activity Favorable nutrient repartitioning HPTA modulation Estrogen management Significant Pro-Hypertrophic capacity Anti-Catabolic Sound interesting? No, we are not making any claims of treating or curing any diseases or drug like affects, nor are we going to use the banned word ANABOLIC for this amazing herbal Pro-Hypertrophic goodie. Mormordica Chirantia ExtractWe use a specific dual extraction/standardization process that allows us to use both the insulinogenic and non-androgenic AR agonistic fractions unique to a proprietary mormordica chirantia extraction. By doing so, we can foster the hypertrophic event in lean tissue via the two most important mechanisms without the usual negative side effects. ADED (5a-dehydro-etiocholane-4,6-dien-3-one-17-ol A.K.A 17a-methyl-5a-dehydro-etiocholane-4,6-dien-3-ene-ol) Many are aware of both the positive and negative physiological issues relating to the naturally occurring aromatase inhibitory ATD. Most of the benefits are the result of one of its physiological 17-OH metabolites. ADED is a natural non-androgenic metabolite of ATD with improved oral bio-availability. Please, do not confuse this with ATD itself as the difference is very important both in structure and action: Some may recall this one (Refering to the info that follows, not the compound itself) from our Ultra H.O.T.ter matrix but to recap…By modulating estrogen build-up the negative feed-back loop to the hypothalamus is put in check. The result is that the body optimizes natural testosterone production. We use our favorite aromatase inhibitor. One we feel is superior to the MATD we created for Ultra HOTter...(and the blood work with the logs on several boards agrees) to do this and it works pretty well to modulate, instead of obliterate, estrogen. 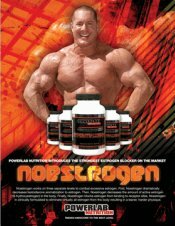 So we still have the right amount of estrogen for optimal growth of lean tissue and positive libido, without the excess water weight and fat feeding aspect. Conjugated (-)3,4-divanillyl-tetrahydrofuranWe utilize an excellent free testosterone optimizing compound called Conjugated (-)3,4-divanillyl-tetrahydrofuran. This is simply the result of a series of extraction processes performed upon nettle root. Many know of this herb due the anti-aromatase capacity and the studies that show its positive affects upon BHP in men. Some of the nettle extracts also have a positive affect upon the total testosterone to free/activetestosterone ratio. More free testosterone means more “active” (as in the part that really matters) testosterone. Nothing really trick here other than it just works better than one would expect. (Nice for a change when something can be simple and effective). Of course, it is all about effective delivery into the body that makes it an asset. Proprietary Conjugated Coleonol ExtractHypotrophic-type receptor health and integrity is paramount to lean tissue optimization. In reality modulation is surprisingly dependant upon cAMP stimulation. Without it, receptor activity down-regulation occurs rapidly and the lean mass promoting symbiotic relationship between hormones goes in the toilet. The ALR Industries Proprietary Conjugated Coleonol Extract supports this need rather well. Put it all together and Jungle Warfare™ becomes the new generation in health and performance optimization. 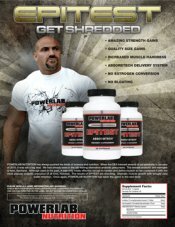 ALR Industries is leading the Revolution to Muscular Evolution! 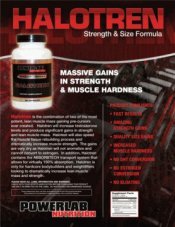 Jungle Warfare™ Pro-hypertrophic, new science only from ALR Industries featuring Herbal Proprietary Myotrophic Complex.